Another eventful year for magic has flown by, and so now is a great time to reflect on what we accomplished in 2017 and look ahead to what’s in store for 2018. In 2017, we had the good fortune to host some wonderful lecturers: Tony Clark in January, Jeff Prace in February, Shawn McMaster in May, and John Lovick in September. Each of them brought a unique and interesting perspective to their effects and presentations, and I hope all of you gained some inspiration from watching and learning from them. Ring 216 implemented several new initiatives in 2017 that we hope you enjoyed. One new program was offering the Jeff Prace lecture free to all Ring 216 members as another benefit of membership; we will do that again in 2018 (more information below). In 2017, we hosted a panel discussion on restaurant magic, we raffled off free magic items to members, and we experimented with streamlining our competitions. Other milestones of 2017 included our annual Flea Market and Auction in June, and our three competitions: Walk-Around, Close-Up, and Stage/Parlor. We loved seeing several new faces in those competitions, and we hope to see more in 2018. We also conducted several pre-meeting workshops and held mini-lectures on interesting topics… thank you to all who contributed! At our officers elections, we had a changing of the guard as Cal Tong decided to step down as an officer for the first time in many, many years. But not to worry: Cal will continue as a board member, and he is succeeded as Vice President by the estimable Tom Collett. John Jones continues as Treasurer, Gary Goldberg as Secretary, and Thomas Busk as Sergeant at Arms. Jeremiah Junkins is our new webmaster. No recap of 2017 would be complete without an acknowledgement of some of the magical lives we lost. On a global scale, the community lost three giants: Daryl, Bob Cassidy, and Eugene Burger. Locally, we were all saddened by the passing of Bill Benson, for whom the Ring conducted a Broken Wand Ceremony featuring wonderful remembrances by Jim Blashek, Anthony Pratkanis, and Bill Jacobson. Looking ahead to 2018, we have several exciting things planned but also lots of room to add new things as they come up. The officers and I have proposed a theme for 2018: Stand-Up Magic. So throughout the year, we’re going to offer mini-lectures and discussions on to help us perform more effectively for groups. We’re looking at concepts like scripting, music, theatricality, and other elements used in stand-up performances. Stay tuned for details. 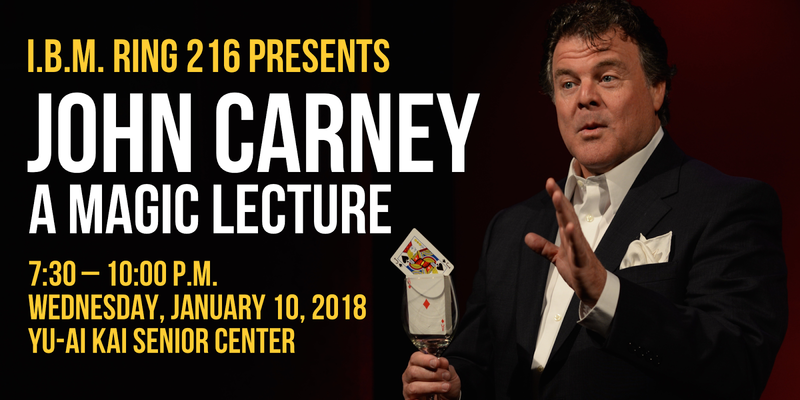 As for our lectures, right now we have two accomplished magicians booked for 2018: the wonderful John Carney on January 10, and our own local cardician Michael Feldman on March 14. Michael’s lecture will be offered free to members as a gift from Ring 216, continuing the tradition we started in 2017. 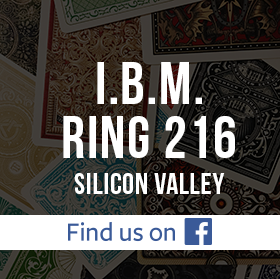 As the president of Ring 216, I want to say thank you for supporting our club and for helping keeping magic alive in the Silicon Valley. For 2018, I ask each of you to think about what you would like to see from Ring 216, and share those ideas with the other officers and me. We do this because we enjoy your company and your contributions. Join us on the evening of July 12, at that regular magic place and magic time, for our next meeting featuring magic performances from your fellow members and more. Craig Ousterling and Cal Tong will cover the mysterious Okito Coin box which has been going through a resurgence of sorts. Many of you have one of these in your closet needing some love, so dust them off and bring them in! Also, bring along some coins that will fit inside the box. Note: This is an introductory workshop. If you want a custom box made for your special coins, you can chat with Craig afterwards. As usual, we will be raffling off several items for paid members. If you would like to donate an item to the raffle, please bring it. Ring 216 secretary Gary Goldberg will present his own lecture on principles of magic from TheJerx.com. The Jerx is best known for immersive tricks based on the idea of "audience-centric" magic that shines a spotlight on the experience of magic and not the magician himself/herself. 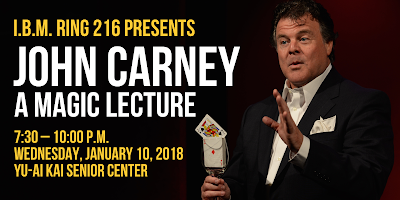 Gary will share his own ideas and a routine he likes to perform that showcases this type of magic. Audience members will be free to share their ideas during the lecture. The rest of our meeting will be devoted to open performances, with time for critique / feedback from your fellow magi if desired. Please bring your works in progress, or even your favorite gem looking for that extra bit of polish, to share with the group. Come ready to help your fellow magi improve his or her craft with your constructive feedback. If you're not ready for feedback that's okay too — simply let us know that you'd prefer to perform only. Got magic stuff you want to get rid of? Is there anything you have your eye on? Bring your magical friends and join us at our next meeting on Wednesday, June 14, beginning at 7:00 PM to shop the collections of your fellow magicians — and/or sell the stuff you don't use anymore. 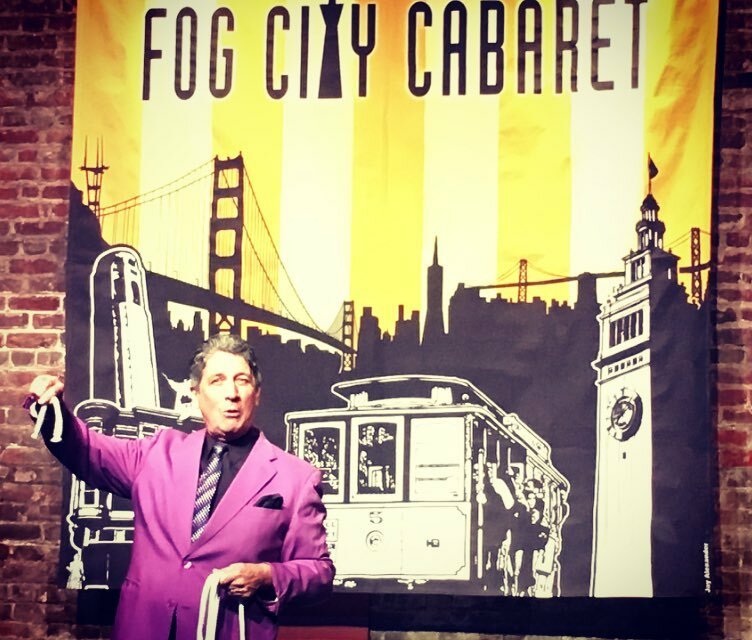 When: May 10, 2017, 7:30 p.m.
Shawn McMaster has been working in the trenches making his sole living with magic for 24 years. During all that time, he has rarely been without at least one weekly restaurant gig. Early on, he was working two to three a week. These days, Shawn is a world traveler, working engagements and corporate events around the world, yet he still keeps a very successful presence within restaurants performing for patrons and making restaurant owners very happy with his work. His lecture, "Deceptive Dining," is a highly-informative study on the business of restaurant magic. 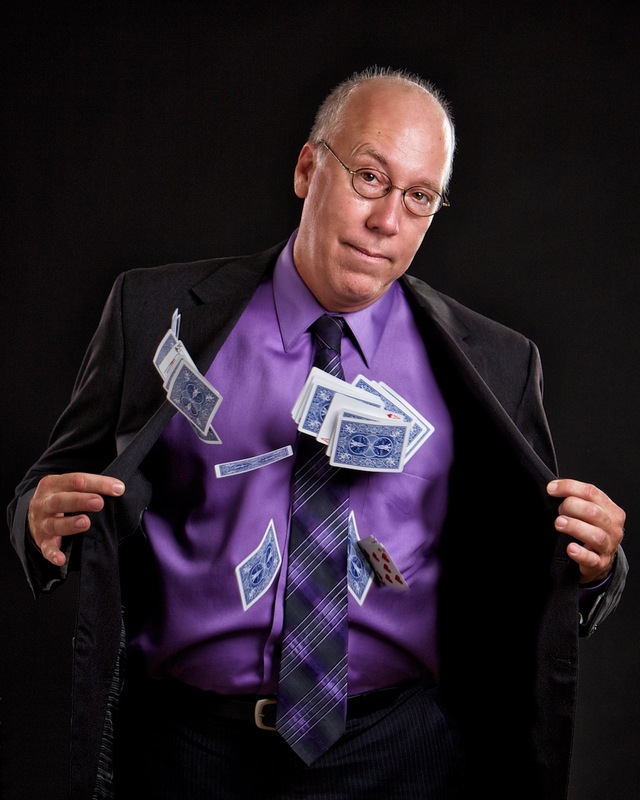 Not only the best type of effects to perform in a restaurant setting, but an in-depth and detailed blueprint of how to gain, keep, and profit from a regular restaurant magic gig taken from over two decades of real-world experience will be presented in this lecture. 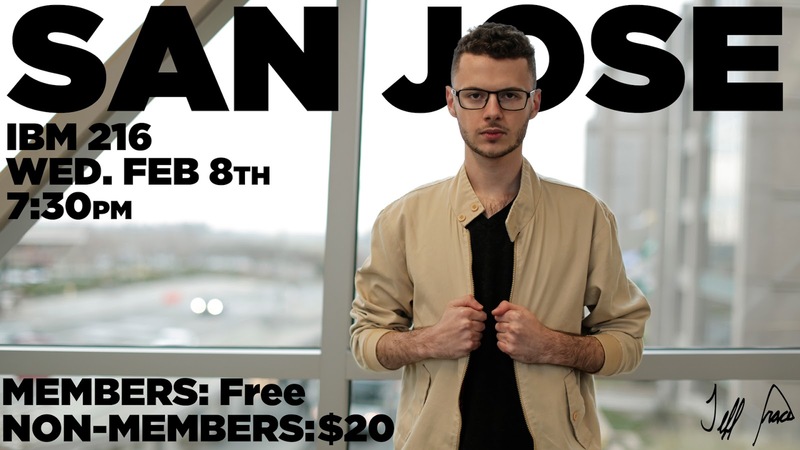 If you have ever thought about performing in restaurants, you can’t afford to miss this. Shawn McMaster is a corporate entertainer who has performed all over the world. 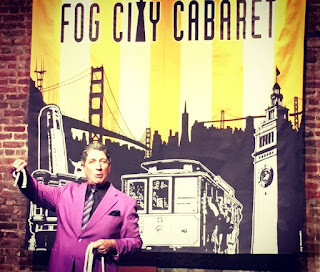 He has performed his brand of comedy magic in clubs, theaters, Las Vegas, Off-Broadway, cruise ships, and is a favorite performer at the Magic Castle. 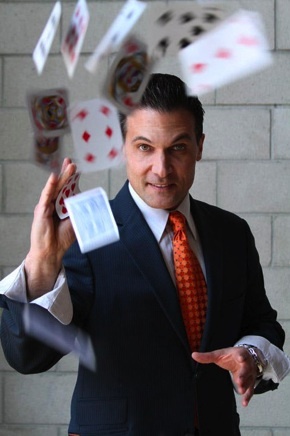 He has appeared on TV shows such as Masters of Illusion and America’s Got Talent. 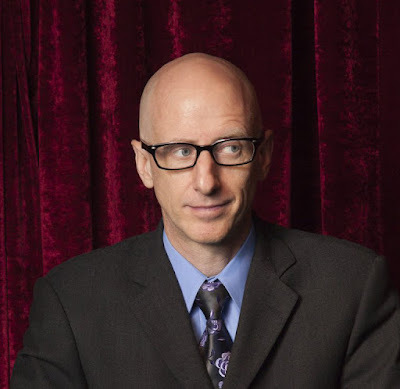 Shawn is also a writer of many books and articles on magicians and the art of magic that have appeared in numerous magic and mainstream publications. He was also the Associate Editor of MAGIC Magazine for three years. $15 for paid Ring 216 members, $30 for non-members.